1/2 Off First Month Rent! At A-ABC Self Storage, we offer a secure and safe setting for our customers to store their belongings. 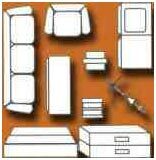 Our units come in a variety of sizes at affordable prices. Our facility is fenced and gated, requiring a security code for entry. You purchase your own lock for your unit, and you hold your own key, to make sure no one else can access your personal unit. If you want to purchase insurance for your added protection, that is available as well. An added advantage is being able to access your unit with extended hours in order to add or remove items at your convenience. You put the items in the storage unit yourself so you can easily find your belongings when you need them. Our units are constructed of concrete block which may accumulate less dust and help keep your possessions clean. Our storage units are designed to help relieve the stress related to moving. Our friendly staff will assist in answering any questions you may have. Our storage units are priced affordably and do not require a long-term commitment. We offer month to month contracts which only require you to keep the unit for 30 days, although you must give a 10-day notice before vacating.. Call us at today at (806) 762-1105 for more information. What Will Fit: Mattress set, sofa, chest of drawers, dining room set or about 100 file boxes. 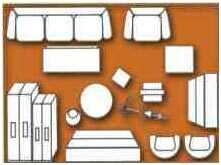 What Will Fit: The furnishings of a one-bedroom apartment: Desk, patio furniture, washer/dryer stacked, boxes, and miscellaneous items or about 150 file boxes. What Will Fit: The furnishings of a one-bedroom apartment with refrigerator, washer and dryer, and patio furniture or about 200 file boxes. What Will Fit: The furnishings of a two-bedroom apartment or small house with refrigerator, washer and dryer, yard furniture, boxes, and miscellaneous items or about 300 file boxes. What Will Fit: The furnishings of a three or four-bedroom house with major appliances, garage extras, boxes, and miscellaneous items or business files and inventory. ONE TIME Administration fee $15 No Deposit. No Set-up fees. Month-by-month rental.